At first, restaurant uniform rental might seem like a scam. Why would you pay for something on a weekly basis that you could pay for once and never have to worry about again? Well, because you will have to worry about it again. 1. Your employees will look great at all times. When you rent your uniforms from a company like Dust-Tex, you get fresh and professionally-laundered restaurant apparel delivered for your employees each week. You won’t have to depend on your employees to keep their uniforms looking good. Instead, you can depend on a company whose entire business and reputation is staked on making sure that your employees have clean and attractive uniforms for every shift. 2. Replacements and repairs are so easy. With frequent employee overturn, procuring new uniforms in the right size every time your staff changes can be a hassle. Additionally, the rigorous work of food preparation and service can be hard on uniforms. You may be dealing with burn marks, stains, tears and more on a weekly basis. A restaurant uniform rental makes all of these problems go away. We can refresh your inventory with the correct size and number of uniforms. 3. You won’t have to purchase industrial laundering equipment. If your other option is to launder your uniforms in-house, along with other restaurant linens like tablecloths, napkins and towels, you’ll need to purchase expensive industrial laundry equipment to handle your linen volume. Not only will this require substantial funds, but it will also take up a good amount of space in your facility. 4. You’ll save yourself and your employees lots of time. Whether you’re laundering your uniforms in-house or requiring your employees to launder them at home, proper laundering takes time. You can either trust your employees not to take shortcuts when it comes to their uniform laundry, invest time and money into in-house laundering, training and staffing, or let a commercial uniform service take care of laundering for you. 5. Your business will be more hygienic. Every day, it seems that another restaurant is rocked with some kind of health scandal. Stay out of the news with restaurant uniform rental! Improperly-cleaned uniforms can harbor dangerous bacteria and germs that can transfer to food and other items and surfaces in your restaurant. Working with a professional laundry service will get your uniforms truly rid of all dangerous substances and bacteria. 6. Your uniforms will last longer. If you’re providing uniforms for your employees to launder on their own, chances are they won’t put the same care into maintaining the quality of a garment as a restaurant uniform rental company would. After all, the restaurant uniform rental company owns the uniforms, so they have an interest in laundering and maintaining your uniforms to preserve their integrity. We can outfit your staff in the best with our restaurant uniforms and aprons! 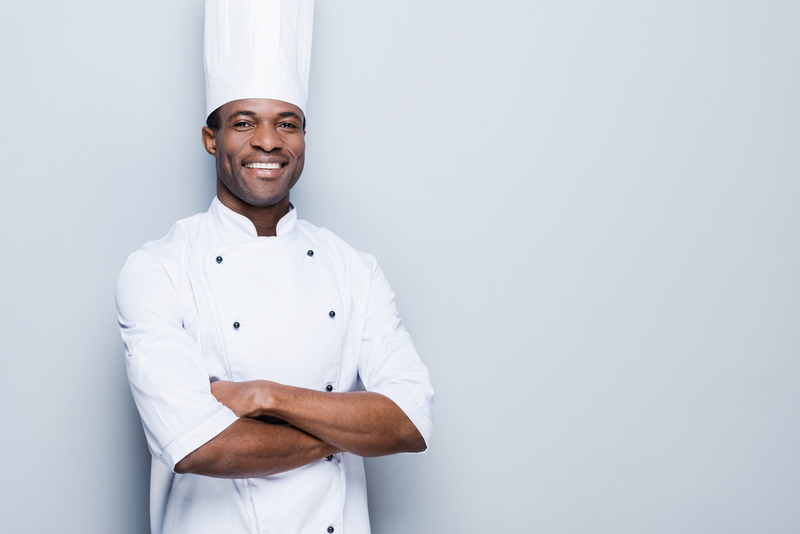 Choose from our selection of chef uniforms, cook uniforms, bib aprons, bistro aprons and waist aprons to create the perfect look for your restaurant! Contact us today for more information about our restaurant uniform rental services in Oahu.